So is she the final reveal besides dlc? Playing as a insect is sick! As a Milleena fan I'm disappointed but not surprised. "That's a lot of stabbing attacks that look like WELP THERE'S THE TELEPORT KICK"
How did she say D'Vorrah killed? Picking a main in this game is going to be so difficult. Makes sense. But leaving the shell is something new isn't it? AND HOLY CRAP DVORAH CAN TURN INTO AN INSECT?!?!?!?!?!? There was a GI article about her and one of the things they said was that she would have a custom move to hatch a baby bug when she died as a 2nd life. Guess this is it. I don't particuarly like fighting games but this look so good. I stand corrected, that's neat. Not only Kitana looking amazing, but D'Vorah looking cool for the first time EVER. Murder face Kitana is best Kitana. D’vorah’s voice is insanely annoying. I don’t like how even her normal grab moves impale the other person’s brain and then they just keep fighting like normal. It really makes fatalities pointless when you’ve already brutally killed the opponent two dozen times before you get there. I almost forgot about that character. I need rain in my life, he can't be on the main menu for nothing! Unstoppable was my favorite Jason variation in X so I'm glad to see something like the resurrection mechanic come back. The salt from the other person once they think you are done and then you come back is too good! What an incredible design, damn. Wow! Looks amazing, love her new look! What the hell happened to Dvorah there with the big thing? Edit: Are Kitana and Mileena one character now? So no Mileena in this then? 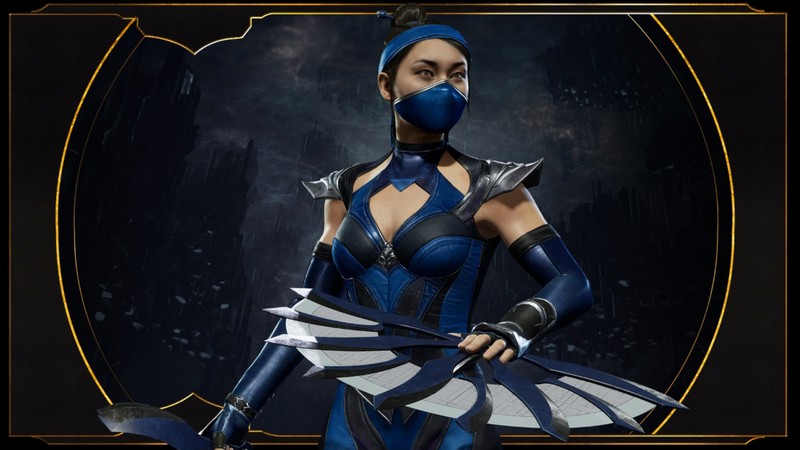 That is my favorite iteration of Kitana for sure.